In the world of women in music, there are queens, princesses, first ladies and even a duchess—but there has only ever been one high priestess of soul: Nina Simone. The Rock and Roll Hall of Fame announced today that Nina Simone will be among 2018’s group of inductees—which includes rock bands Bon Jovi, Dire Straits, the Moody Blues and the Cars. This year’s induction will also include a fellow black female trailblazer and revolutionary: guitarist and singer Sister Rosetta Tharpe—often known as the “godmother of rock and roll”—who arguably invented the medium and yet has also been embarrassingly absent from the annual honors. We wish we could say we were surprised at the continued omission and undervaluing of black women—even women as indisputably influential as Tharpe—from mainstream spaces and accolades. But the beat goes on, we guess. But for the legions of fans of Nina Simone, who enjoyed international fame throughout her nearly half-century career before she died in 2003, this honor is decades overdue. 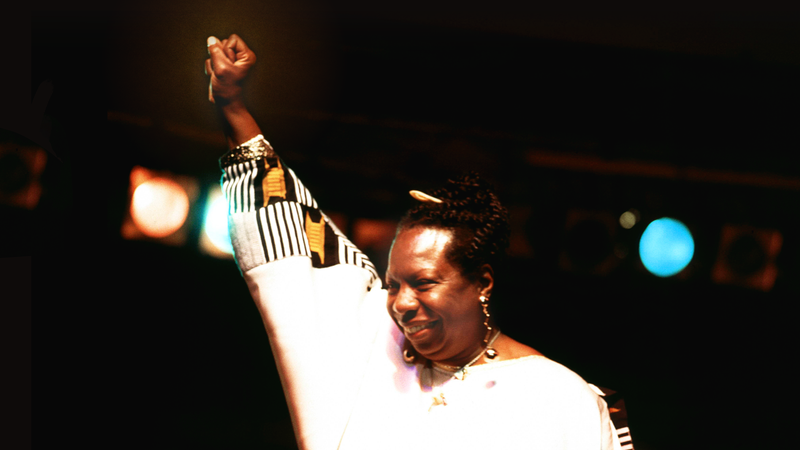 The singer, songwriter and virtuoso pianist has been eligible since 1986; during her lifetime, her tremendous talent was often overlooked and rejected because of her race, skin color, gender, and activism; as well as the beauty standards of the era. Overdue or not, we’re glad the Rock and Roll Hall of Fame is finally catching up and elevating not one, but two of our musical icons to the place in history they deserve. But as with too many greats who receive their due recognition too late, we really wish they were alive to see it.